In December, the companies signed a memorandum of understanding and letter of intent. Since then, Telstra has already undertaken some early work to build the NBN network in the existing HFC footprint. This has included preparing NBN exchange locations and HFC planning and design, the telco said. Telstra's pay-TV hybrid-fibre coaxial cable network currently reaches around 3 million Australian homes. 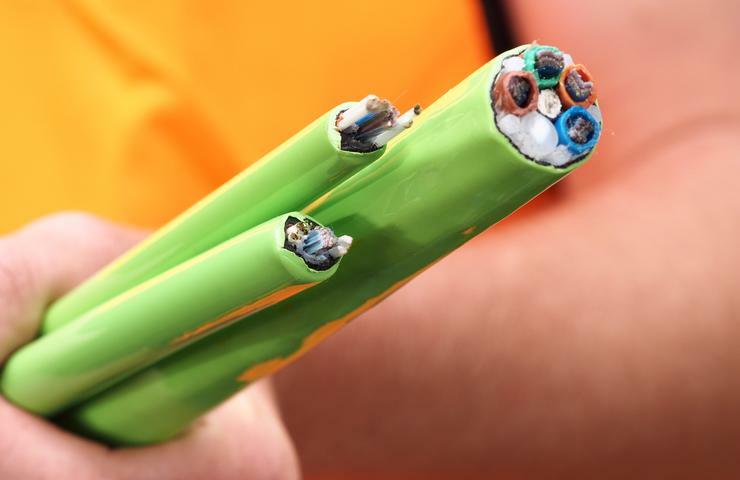 The works are expected to continue until the completion of the NBN in 2020, and include geographic areas within the Telstra HFC network in Sydney, Melbourne, Brisbane, the Gold Coast, Perth and Adelaide, Telstra said. It is expected that 8 million homes and businesses will be connected to the NBN by that time. Construction will be split into two area – field construction activities will largely be performed by NBN’s Multi-Technology Integrated Master Agreements (MIMA) partners and, in exchange, construction activities and limited upstream in-field activities will be undertaken by Telstra. The multi-technology mix (MTM) network architecture will be deployed to deliver broadband capabilities in the areas covered by the existing Telstra HFC footprint, expected to mainly involve HFC access technology, the companies said. In late 2015, Telstra was also awarded two contracts as one of NBN’s network service and assurance providers. The telco was also contracted to work with NBN on a 1000-node trial including fibre-to-the-node (FTTN) design and construction as well as further design work under a planning and design services agreement. In a statement, Telstra CEO Andrew Penn said: “Telstra has a long and proud history in network construction and we believe we will bring great expertise to this important part of the NBN network. “We are already mobilising our workforce to ensure we support NBN in their rollout schedule. We look forward to working with NBN on this significant program of work, helping to bring the NBN network to millions of homes and businesses,” he said. NBN CEO, Bill Morrow, said in a statement that the NBN network is now available to two million homes and businesses with close to one million already connected. "This deal will extend the NBN network to millions more, bringing new opportunity in education, health and online services to more families. Telstra has enormous experience in HFC design and construction, and the rollout will be greatly assisted by having them as a key partner in the delivery of this part of the network." NBN has also completed trials on the Optus HFC network in Redcliffe, Queensland, with end users experiencing trial speeds of up to 100Mbps upstream and 40Mbps downstream, NBN said today. The company claimed it is on track to make an initial 10,000 HFC premises available for orders by the end of June 2016. Meanwhile, the Australian Competition and Consumer Commission (ACCC) on Monday expressed concerns around the competition implications of Telstra's involvement in the roll out of the NBN network. "While recognising that using Telstra’s technical expertise will contribute to a quicker rollout of the NBN, the ACCC remains concerned that competition issues arise from agreements that involve Telstra in the construction and maintenance of the NBN, including the HFC delivery agreement announced earlier today," the competition watchdog said. “We have raised several concerns with Telstra and NBN Co, including that Telstra may receive a competitive advantage if it has access to better information than other service providers or if it is able to use infrastructure built for the NBN network before that infrastructure becomes available to other retail service providers,” said ACCC chairman , Rod Sims. "The ACCC has had extensive and productive discussions with NBN and Telstra to seek to address the concerns that could arise because of Telstra’s role in providing design, engineering, procurement and construction management services to NBN under the HFC agreement. NBN and Telstra recently provided a set of proposals aimed at addressing these concerns. “We are looking at the parties’ proposals carefully to consider to what extent these proposals address our concerns. It is important that Telstra doesn’t get a head-start selling retail services over the NBN just because its technical expertise is being used in the construction and maintenance of the NBN,” Sims said in a statement. NBN responded on Monday afternoon saying its agreement with Telstra is not subject to approval by the competition watchdog. "As the ACCC has acknowledged, the parties have had extensive and productive discussions with the ACCC. We have already provided a significant amount of information to the ACCC," an NBN spokesperson said. "We continue to work closely with the commission and we are pleased that the ACCC recognises that the transaction will contribute to a quicker rollout of the NBN. We are very mindful of these perceived issues when we structured the deal and have also offered the ACCC additional measures around monitoring and reporting back to the ACCC. "As we are an open access wholesale only, non-discriminatory operator, we have every incentive to make sure all internet providers have the same opportunities to access our network as quickly as possible," the spokesperson said.